7 one of those days. You know those days when it feels like everything that needs to be done finally catches up with you and there is no way you will ever finish it all? I'm having one of those days. I've got a million things going on all at once and I feel like I'm running behind. Did you know I'm now a graphic designer? Because I didn't. I like helping my family when it comes to design stuff, but it all happened to be piled on all at once. Oh yes, I also need to clean my apartment (we have company coming this weekend) and work a 40 hour week at the job that actually puts food on the table, where there is another list that is just as long as this one if not longer. So when am I supposed to rest to get rid of this sinus infection and ear infections in both ears? I think I need an assistant! And a nap. I'm sure most of you are in the same boat as I am... what do you do when you're feeling overwhelmed? 99 Giveaway from The Wishing Elephant. Thank you for all the lovely comments on the new blog design! 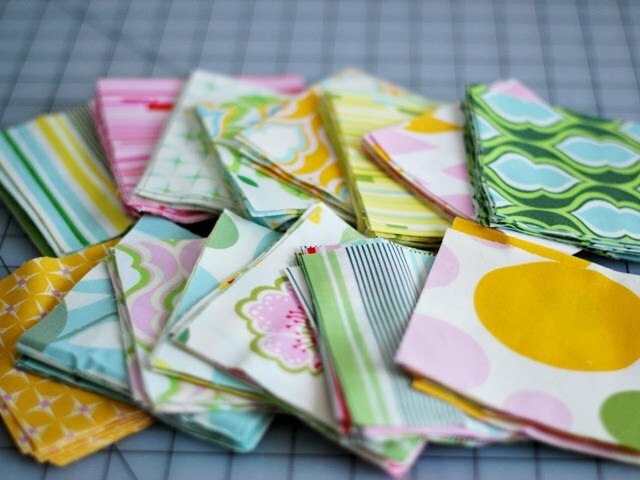 Because you're all so sweet, I have a super cute giveaway for you from The Wishing Elephant! 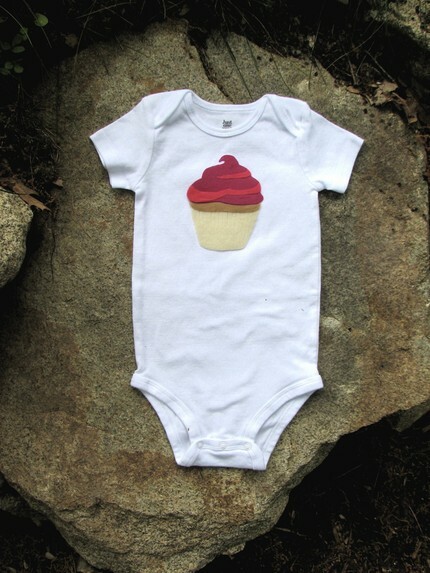 Check out all of the fun onesie designs. All of the appliques are handmade using eco felt (made of 100% post-consumer recycled plastic bottles). 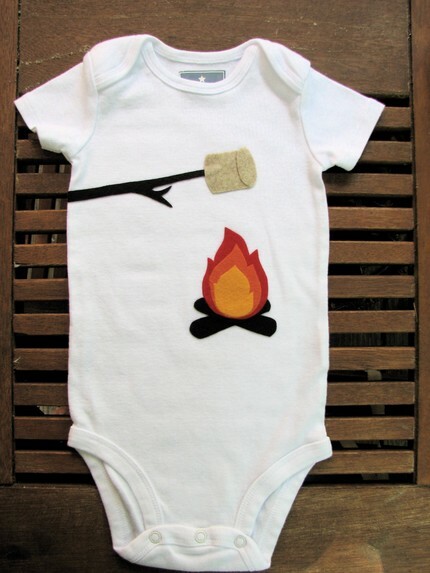 I think my favorite is a toss up between the marshmallow campfire and the pink cupcake onesie. Sweet tooth, perhaps? One randomly selected winner will receive any single item of their choice! 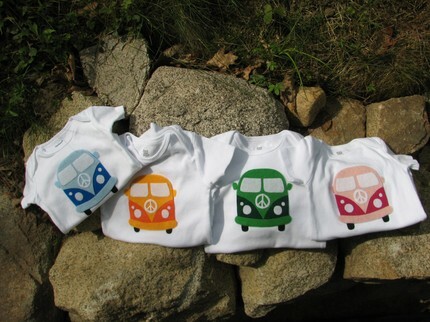 Even if you don't have kids of your own yet (I don't either) these would make great baby shower gifts. To enter, please visit The Wishing Elephant and leave a comment with your favorite item. Please make sure to leave an email address in your comment if it's not linked to your profile. As usual, followers get an extra entry, so leave a separate comment if you follow my blog. The giveaway ends Sunday, August 1st at 11:00pm CDT. I'll announce a winner on Monday. I am thrilled to finally launch my new blog design! Please stop over if you're viewing from your reader. I have to thank Kelly from Blushink! for doing a fabulous job on the site and putting up with all my craziness. Notice anything else that's new? I finally got my own domain! 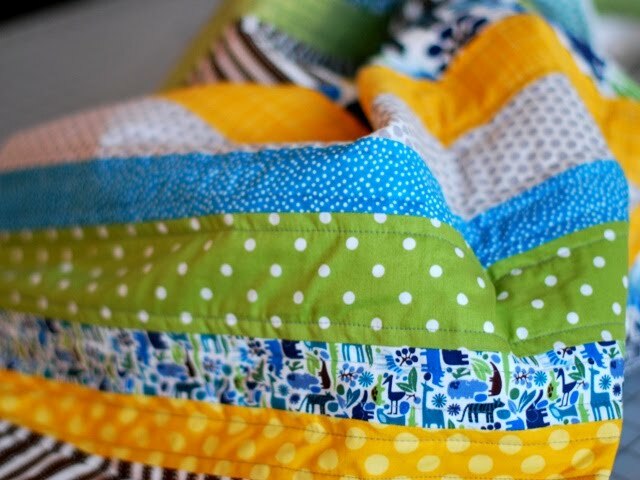 Now you can find Bijou Lovely at www.bijoulovelydesigns.com! If you subscribe, everything should automatically transfer, but if it's not working please remember to update your feed. Take a look around the new site and let me know what you think! Please let me know if you see any issues, other than the need to resize my old pictures. And yes, I do have a link to my empty Etsy shop at the top. Hopefully the lack of listings will be the next issue I focus on. 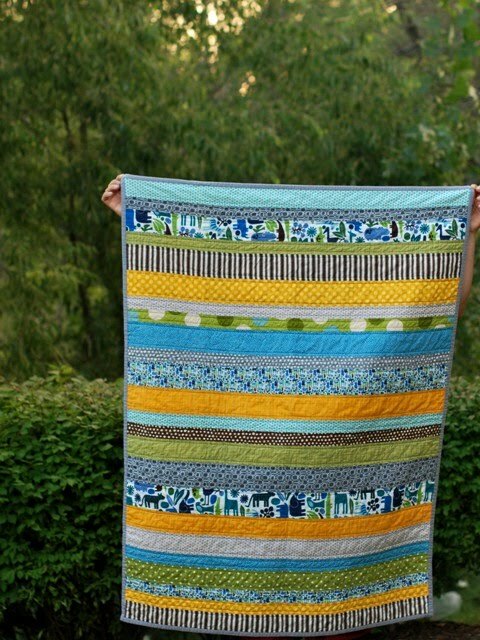 Time for a Nicey Jane quilt. 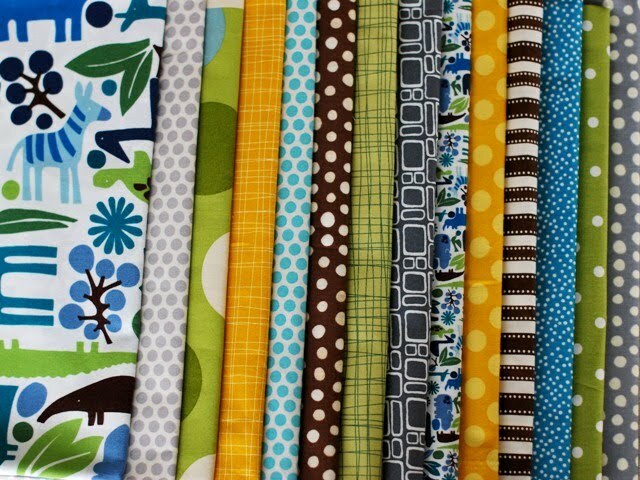 I'm adding some Kona solids too, just for fun. I was a little sick of NJ for a bit, but it's just too pretty to resist. 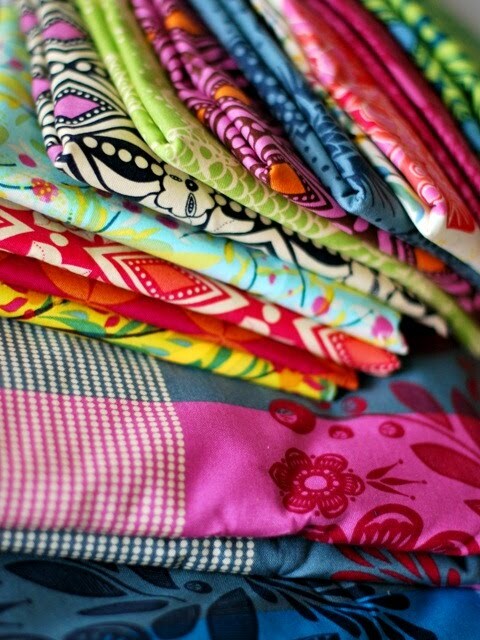 I love the colors in this line and the mix of modern and vintage prints. 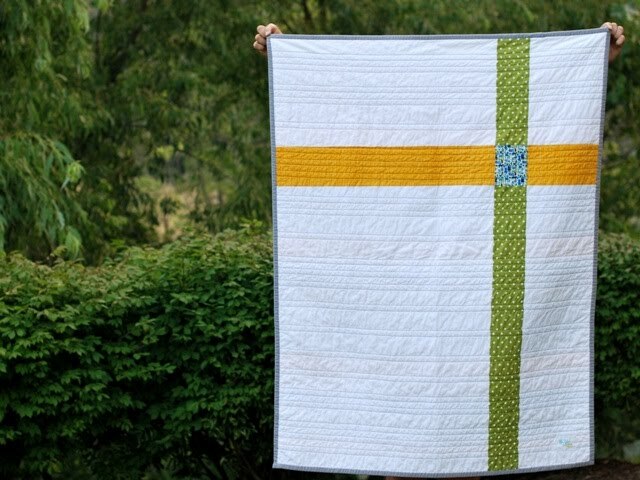 Have you made a Nicey Jane quilt? If so, please share! I'd love to see it. 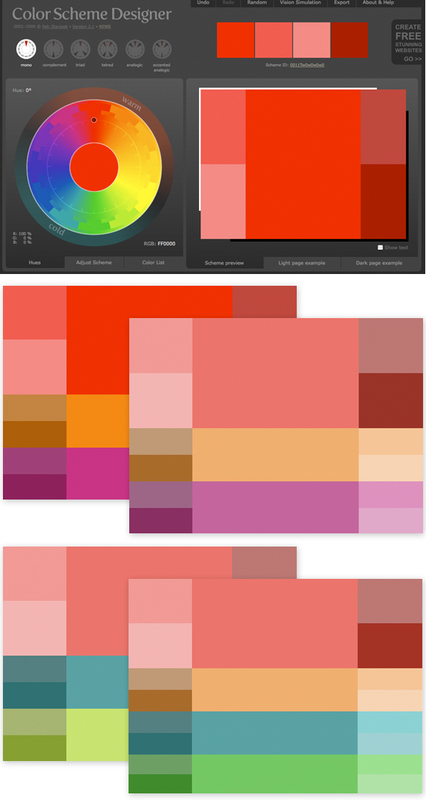 7 lovely inspiration: color scheme designer. Color is one thing I love to experiment with. It inspires me in so many ways! If you struggle with putting color schemes together or can't find a color card that sparks your creatitivity, you should test out this color scheme designer. I'm loving this purple and pink scheme. What other tools do you use to choose colors? 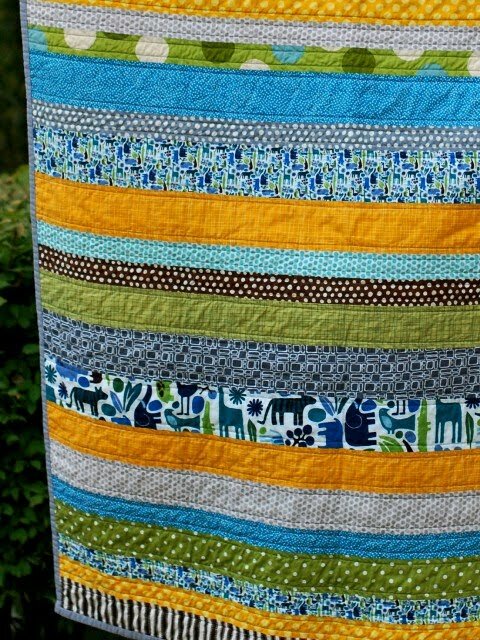 The 2D Zoo quilt has been quilted. Again with the straight lines...I may need to branch out soon. I spent a couple hours yesterday and most of the day today putting this together after getting back from my work trip on Friday night. 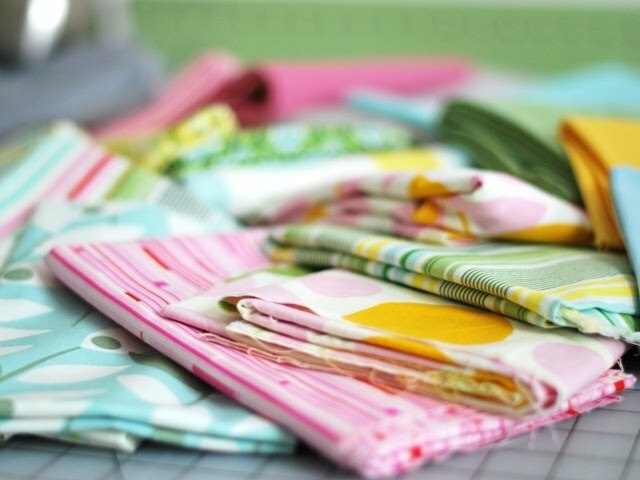 I was feeling behind on sewing after being gone for so long, so it feels good to be back on schedule. Now all that's left is to make and sew on the binding, which I can hopefully get to tomorrow! In other weekend events, I saw Inception this weekend and thought it was pretty good! Did anyone else see it? What did you think? 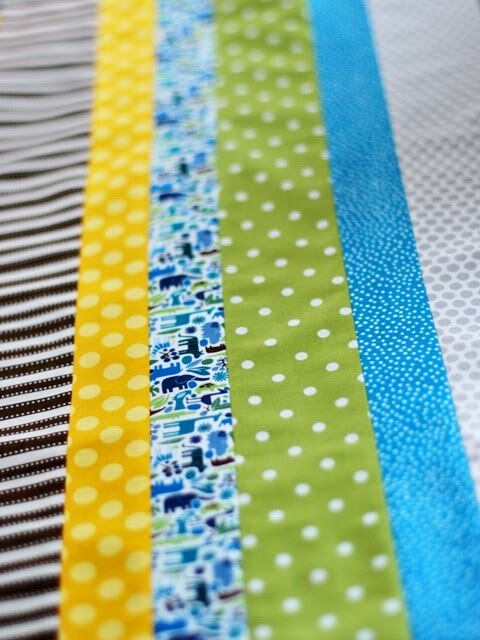 This time in a mix of fabrics to match a baby boy's nursery. I've almost got the whole top sewn together and I just started working on it last night. Yay for productivity. After being back from our little (okay, sort of long) vacay for two nights, I'm off to Boston for work in the morning. I think I'd rather be sewing. And sleeping in my own bed. And not getting up at 4am to get to the airport tomorrow. I'm back from my vacation and ready to get back into the swing of things around here. Starting with a few additions to the stash that arrived while I was away. 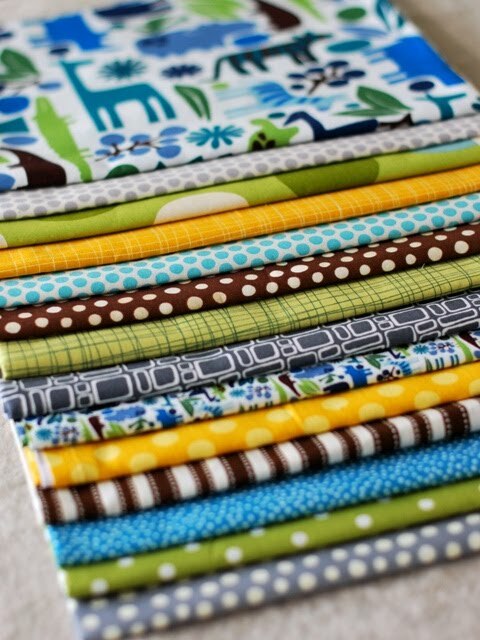 I took my own advice and bought all of the Good Folks I could during the fabric.com sale. 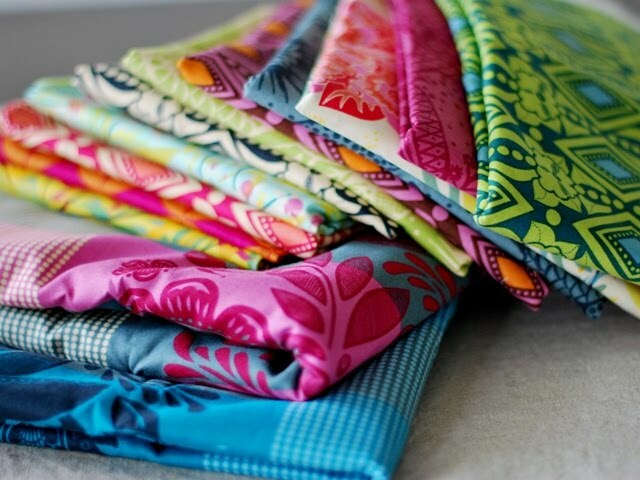 I just love the color choices that Anna Maria makes for her fabrics, they're all so rich and vibrant. 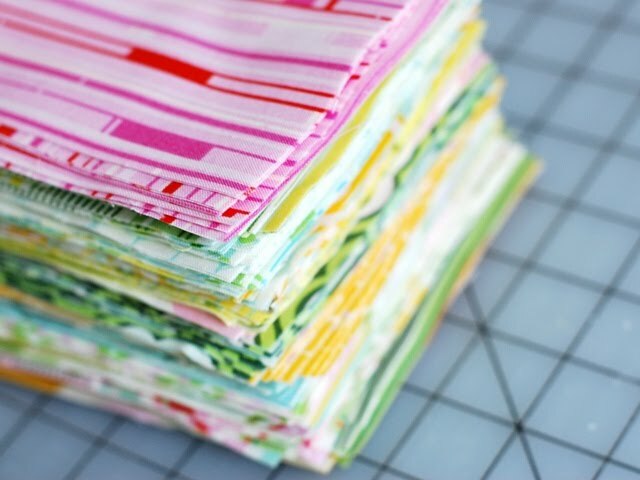 Also waiting for me was this fabric from fabricworm, which will be used for a custom baby quilt. I cut into this tonight and it felt wonderful. 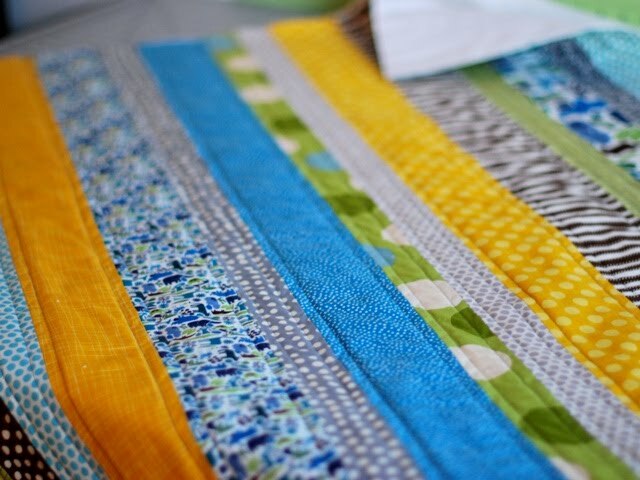 Getting back to sewing (and of course, blogging) is the only real benefit to my vacation ending! In other news, the blog redesign will be launched any day now, but first I need to catch up on some work and a certain lovely lady needs to give birth! Good luck tomorrow Kelly! 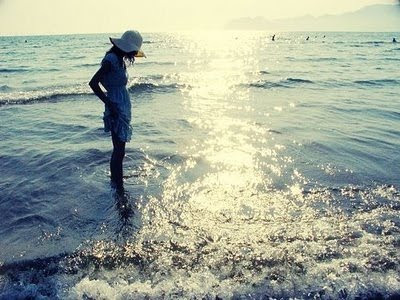 I will be going into vacation mode for the next week, so I can't make any promises that I'll be blogging regularly. However, I can promise you a major improvement in blog beautification when I return. And maybe a giveaway or two to celebrate a shiny new blog look? 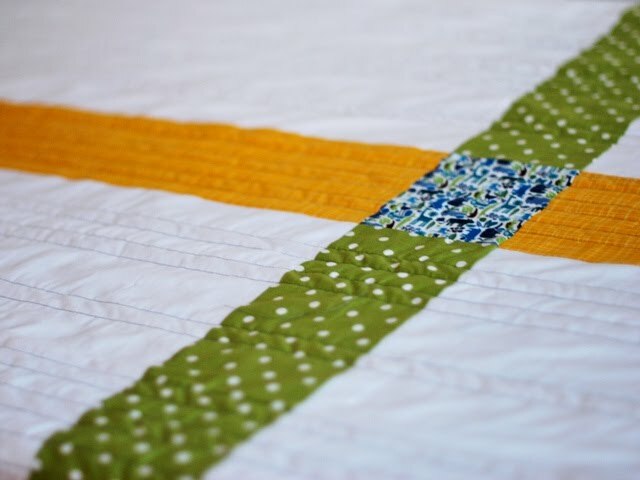 So please don't unfollow me due to my lack of sewing projects (and therefore, blog content) in the next 10 days. 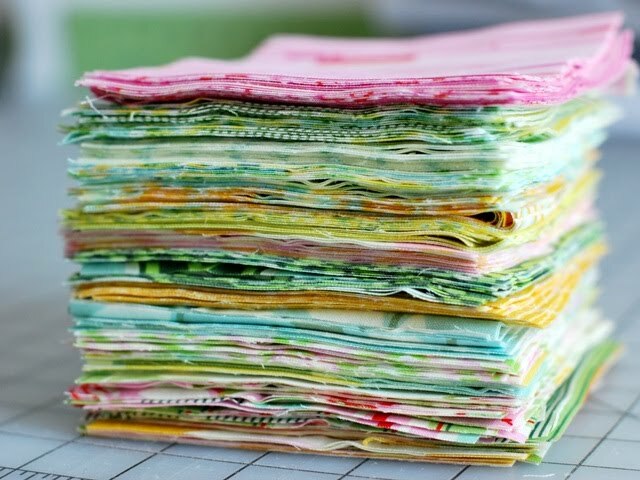 I'll be bringing a small amount of fabric with me in case I am unable to live without sewing something, but that would mean I have to carry my mom's thousand pound machine up the stairs...and I'm just not sure I want to exert that much effort. It is a vacation after all! 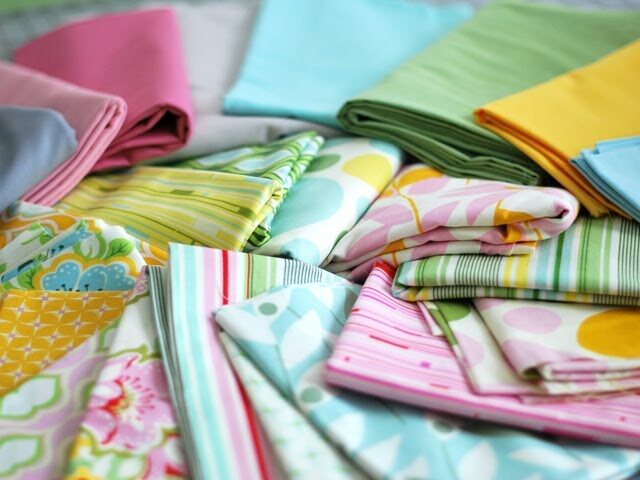 In case you're in need of a little entertainment in the form of retail therapy in the meantime, you should head over to fabric.com for their Westminster blowout! You can get an additional 25% off if you spend $70 using the code BLUE25. 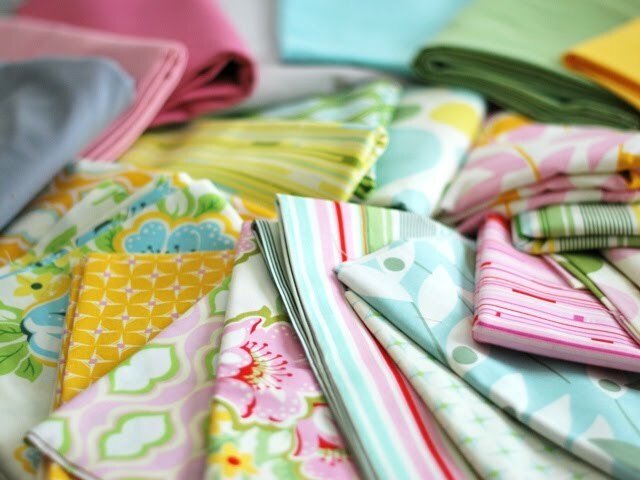 There's nothing better than Anna Maria Horner for $3.00 a yard. Happy shopping!